Most nights, I fall asleep imagining how my upcoming fall hunts are going to transpire. Some nights, I imagine bugling bulls rutted out charging and screaming in to my fervent cow calls and other nights I imagine lying prone on a heavy blanket of snow taking rest on a swollen necked mule deer buck. These are the moments that I live for, that I love, from hunting success, to haunting memories of a close call or should have been. Good or bad, these moments are what drive me to become a better outdoorsman each passing year. In preparation for an action packed fall hunting season and opportunity for all of these dreams to come true, not only for myself but for the companies that I serve; the Rocky Mountain Elk Foundation’s Team Elk television show, Swarovski Optik, Cabela’s, Under Armour and Realtree. Having taken a long hard look at my current skill level, I have settled upon a few specific skills that could use some sharpening. First on the list: Marksmanship. Being proficient at making terminal hits at various yardages is the key to my fall hunting dreams coming true. To begin my journey towards precision marksmanship, I picked up the book “Hunters Guide to Long Range Shooting” by Wayne VanZwoll and when I finish that book, I will read “Dead On” by Tony M. Noblitt and Warren Gabrilska. After having read a good bit of my long range hunting book, my enthusiasm could not be contained any longer. I wanted to learn more information and get behind the gun more quickly, which lead me to contact my cousin Tim Titus and his son Ben. They are predator and varmint hunting experts that specialize in “putting more fur in the truck and executing more first round hits” and have a great outfitting business (www.no-off-season.com). Fortunately for me, Tim and Ben had a three day opening in their schedule that would allow me to make the short drive to Eastern Oregon to get some hands on training with the expert shooters of the Titus family. 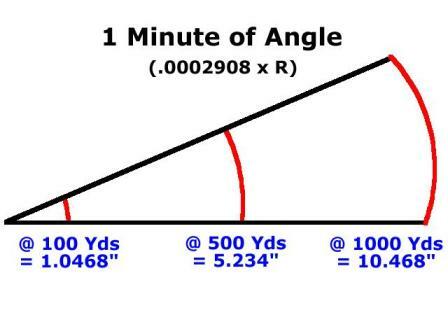 Chronographing to determine the actual muzzle velocity of the rifle for my drop chart. My first afternoon was spent in the classroom, but I was rewarded with some evening trigger time doing some sighting in at 100 & 200 yards and working on my benchrest technique. I was thrilled to get a 1 Minute of Angle (MOA) group at 100 yards with my Howa .243, that is until I shot Tim’s .204 and shot a .4 MOA group at 100 yards. The most important lesson that I learned my first night was to know your specific rifle’s limitations. Each rifle barrel prefers a specific bullet/weight/powder combo based on a myriad of factors and will perform differently based on those factors. You can only shoot as well as the rifle you are taking aim with is capable of performing. 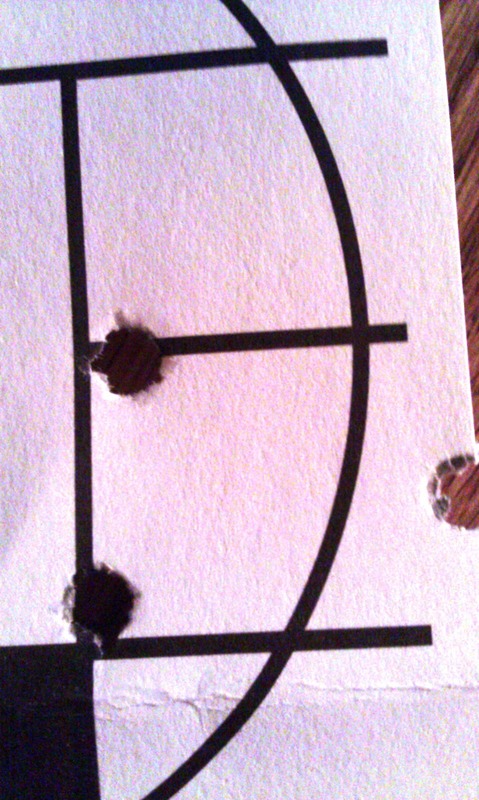 Many factory rifles like my Howa .243 will simply not perform better than a 1 MOA group at 100 yards. With that being said, I proudly posted on facebook my 1 MOA group from my Howa .243 as that is a “tight” group for that particular rifle using factory ammo and without making aftermarket modifications. The second day, Tim rattled my brain with the introduction of MOA calculations. Ben even gave me a “Pop Quiz” to test my comprehension and possibly math skills. I proudly passed his quiz with a 100%. While Ben and I spent a few hours at the reloading bench working up some custom loads for my .243 and testing them on the range while practicing technique and shooting 200 yard gongs with a head wind, Tim set me up for a challenge. 406 yards on a 10” gong with a full value cross-wind. Using a Kestrel weather data center and the Shooter cell phone application, I entered the bullet type and weight, muzzle velocity, temperature, elevation, humidity, and wind value to attain the solution (MOA scope adjustment needed) for the 406 yard shot. 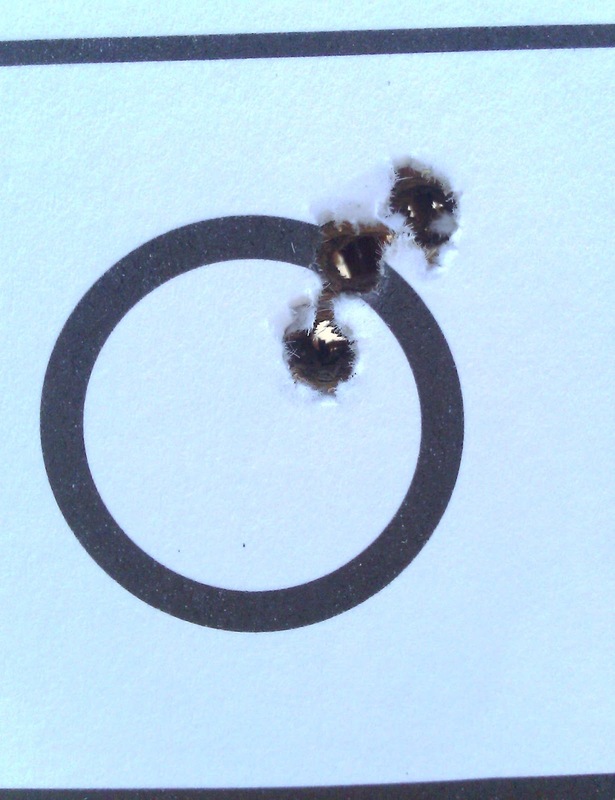 The end result was first round hit, nearly dead center and subsequent 1 ¼ MOA group. I can’t begin to tell you just how excited I was as this was the most accurate I had EVER shot at 400 yards. Our final morning was spent wrapping up classroom discussions on shot angle and trajectory before we celebrated my “graduation” with some long range rock chuck hunting. I could hardly wait to get in the field and apply all of my newly acquired long range skills on real targets. The Rock Chuck- A football sized target, is the perfect marksman challenge, at any range. My first opportunity on a rock chuck came with a steep uphill shot into a quartering wind at 211 yards where I quickly sent this chuck flying through the air with a terminal first round hit. Needless to say, I was beyond ecstatic! The next rock chuck appeared at 270 yards on the edge of a rock face with a slight uphill angle. Making the needed adjustment for elevation on my Swarovski Z5 BT scope and holding slightly to the right of the rock chuck, but still on fur, to account for windage, I made another first round terminal hit on my target! At this point in the day, I felt that my graduation gift had been delivered and I had already exceeded my expectations in marksmanship. After watching Tim and Ben terminate a couple of rock chucks at 650 yards, I was appreciating the value of an accurate shooting rifle, quality optics and good technique as they are all important at ranges under 400 yards, but there are additional considerations that come into play that are invaluable at ranges outwards of 400 yards. Information is one of the biggest keys in long range success. 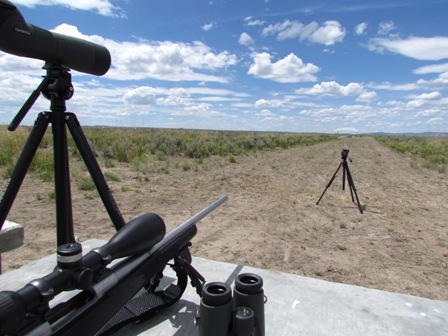 Using tools like the Kestrel weather data center to attain the current temperature, level of humidity and windage, and having an reliable program like Shooter to attain the solution to long range shooting is a must for success. With some degree of urging from Tim, I set up to take my ultimate test….650 yard rock chuck. Taking into account all of the needed factors for success, my first shot was sent down range and ending up passing slightly over my intended target. Tim was my trusted spotter, and urged me to dial down my turret for the second shot as the rock chuck had not moved from his position. My second shot was sent down range and still slightly high. At this point, I played the mental game remaining focused on my target that was still standing in the same place. With another slight turret adjustment, I sent my third shot down range with the final words of wisdom from Tim “aim small, miss small” when my bullet slipped into my target launching it into the air. Before the day was over, I am proud to say that using the Kestrel weather data center information and inputting it into my Shooter program to attain the solution for a successful first round 650 yard hit on a rock chuck, once again launching it into the air! 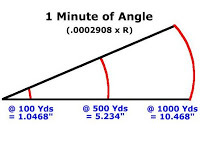 Thanks to Tim and Ben Titus, with all of their patience and generosity in sharing their infinite wisdom with me, in three days, I was able to successfully and terminally connect on a football sized target at 3/8 of a mile, graduating with honors. The more I learn, the more I learn how little I know, so I have registered to attend the Magpul Dynamics Precision Rifle 1 course in July and can hardly wait! Ben, Tim and I with our rock chuck harvest of the day at the following yardages: 211, 270, 450, 450, 650, 650, 650, 650, 650, 650.